2013 is coming full of power for Underground Noise Records, and this release is the best example. 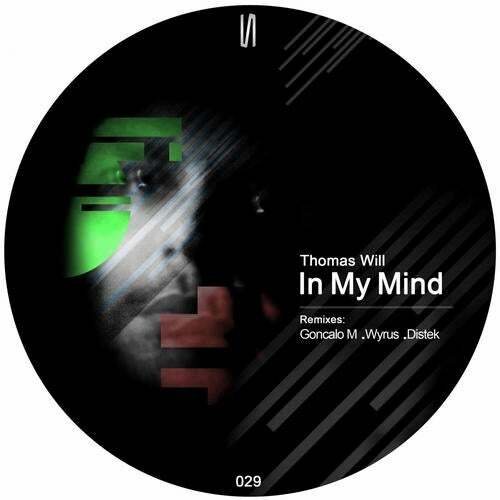 Thomas Will nowadays is one of the busiest Hardgroove/Tribal/Funky Techno artists and also owner of Underground Noise Records, and finally he will release his first Ep on his own label,... and it will be killer! In my Mind Ep is an essential release for any Dj who likes Techno full of percussions, funky basses and banging stuff. The original mix is a very percussive track, with lots of cuts and fills and impressive mental pads which combine a massive groove with a reflexive ambient. The remixes couldn't be less, Great Portuguese Goncalo M gives us a funky dance floor killer, but over a really friendly groove. Respected Croatian producer Wyrus shows us that hardgroove techno is still healthy inside himself as always, and you can check it out on his banging remix. And finally the experienced UK producer Distek is the perfect end for the Ep, with his outstanding and powerfull remix which mixes the present with reminiscences to late 90s early 2000. Definitly you must check out this one and keep in your Dj bag.